Ahead of his role as Shylock in this week's run of Shakespeare's The Merchant of Venice (Until Sunday 25 September at Shanghai Oriental Art Centre), Game of Thrones' star Jonathan Pryce chats to us about choosing acting roles, working with family, and addressing politics through art. I understand that a university tutor convinced you to audition for the Royal Academy of Dramatic Arts (RADA), is that correct? I was studying art, and had to do a subsidiary course – and I was told drama was the easiest course to do. My tutor encouraged my interest in drama, and then someone who saw me perform asked if I had ever thought about being an actor, and I said no, and he said you should. Then I went to RADA. Were you comfortable changing careers? I was nineteen, so that was fine. I was beginning to enjoy acting more than I had ever enjoyed painting. And, this is an odd thing to say, but as much as I thought my drawings and paintings were good, no one was saying how good they were, but when I was acting, people were saying…it was about getting praise. Also, unlike my artwork, I didn’t have to look at my acting and be judgmental about it; I was getting creative urges, but I wasn’t judging. When a RADA teacher told you you’d never play anything but villains in Z Cars, did you want to give up? I suppose I did want to get rid of that tutor; I found him very discouraging. But the actual RADA process was valuable, [such as] the voice and movement training. I did a lot of improvisation and movement; it was an inspirational time. What advice can you give young actors whose teachers label them like that? Regarding your famously broad range, you had said that while at the Everyman Theatre in Liverpool you played Edgar in King Lear and Owl in Winnie the Pooh on the same day. Do you credit the Everyman for building your confidence? That’s exactly what [that kind of work] does; it builds your confidence. You’re not afraid of tackling anything, and it’s good for me to be able to do these things. I used to be able to dance, but I can [still] sing as well as act, and I enjoy the variety. I don’t look for things that are stereotypical; in fact, if I’ve done one kind of role in a film, I deliberately look for another kind of role. I’ve had things written for me in the past, and I’ve generally avoided that, because that’s the writer, or the other person’s view of what I can do, and I wouldn’t necessarily find that interesting. But that definitely came from my start at the Everyman Theatre; we were players cast, and we were doing a different play every four or five weeks. In a Guardian article interview, when asked why you take certain roles, you answered, “Because they asked me”, but you initially turned down both Game of Thrones and the Merchant of Venice. Why was that? When I was younger, I would take on roles for various reasons, like if it [were something] I hadn’t done before. But with Game of Thrones, I ended up having the best time of my career doing that role. I turned it down initially because that genre of literature and of TV doesn’t attract me; I don’t read that kind of stuff. But when they came back five seasons later offering the High Sparrow, the show had become this huge international sensation. I could see that it was done incredibly well, and that this character was really interesting. I’m glad I ended up doing it; I had a great time. The same with Merchant of Venice – I never really liked the play, and I shared the conviction with millions of people that it is a racist play, rather than a play about racism. And I said no to that initially, but very quickly called my agent back, because I usually say yes or no to something too quickly. And I reread it over the weekend. Reading it from Shylock’s point of view, and reading it in 2015, with everything that is happening in our world today – the rise of racism, of anti-Semitism, the fear of the immigrant, the fear of the alien, and people building walls instead of knocking walls down. It has proved an incredibly relevant piece to be performing; if you read the American reviews now, the critics have absolutely put this piece in a world context. One journalist from The Washington Post said this play should never be performed again, but that argument has been rebutted in every other review. I wouldn’t be doing it if I thought it was in any way racist, or if it didn’t help the political situation. But I think it’s a very timely piece, [especially] for young audiences to be seeing. Performing it now, on this international tour, is a kind of rebuttal to [today’s] dangerous political views. Why was Game of Thrones such a great experience, and what did you like about the character? Years ago, I had an agent, James Sharkey, who took me on when I was still in drama school. His advice to me in selecting parts was if it wasn’t the lead character, does this character come into this situation and change it? I fell back on that advice from 40 years ago. The High Sparrow comes into this very successful TV series five seasons in, and does he change the situation? Yes he does. The storyline could not have existed without him; it was very well written. And also, by season five, I had imagined that people who worked on this would be quite cynical, thinking that [because] they had a success, they didn’t have to work that hard. But every season they work harder to keep it a success. So you’ve got a production team who are hugely dedicated to making it the best; you have very skilful crews, and great directors. And it’s a perfect schedule – you go in, you do your bit, you go away for a few weeks, and then you come back and do your bit again. It suited me very well. It also meant I could fit in theatre work, because they have a tight schedule; you know the beginning and the end of when you’re working, so I was able to do Merchant. I really enjoyed it – I didn’t agree with all of his politics, but there you go. You’ve played several characters that intertwine faith and power: The High Sparrow, Shylock, and Sir Thomas Wolsey of BBC’s Wolf Hall, can you expand on them at all? Well, the High Sparrow uses his power in a very dangerous way. When people used to describe him to me, they would say he’s a bad guy, he’s horrible, and I would say no, no, he’s a good guy – but he’s only a good guy in my head. I have to think about what he’s doing is right and proper in a way, but that mix of power, fundamentalism and zealotry is a dangerous and unattractive one. And Shylock is a victim of people like the Sparrow. To you, was the High Sparrow motivated by power or faith? It was a faith, whatever the hell that faith was. It was a representation of all faiths. How about Thomas Wolsey? What motivated people to join the church at that time was very different to what motivates them now; Wolsey’s position was political. Being a member of the church hierarchy at that time meant he was very wealthy; his palace was bigger than the king’s. So for Wolsey, and the popes, and people like them, it was all about power. When you began Merchant, you had said that so much of “Shylock is in shadow” and that King Lear was easier, do you still agree with that statement? I wouldn’t say it’s easier, but Lear talks about what is happening to him, and you see what is happening to him. As much as he is a victim, he is also a motivator. But with Shylock, you discover more about him by his relation to other people and how they react to him. The director Jonathan Munby wanted to emphasise the cruelty of the piece, and to not shy away from the racism of the Christian society. He also wanted to show why Shylock became who he became, because of his society. With this tour, do you find that Merchant is resonating with the audiences? Absolutely. I know a lot of people are seeing Merchant for the first time, and they’re coming with their own prejudices. And I think the way we perform it is a bit of an eye- opener for people. We’re not trying to dress it up or give it a high context; we do it in period costume and we do the play as written. There are various surprises at the end, and various things added, but it is such a clear production, I think people can’t help but see what is happening to these people, and why it’s happening. You don’t want to pander; the audience isn’t dumb. You want them to draw their own conclusions, to be the extra cast member, to make it relevant to themselves. And you want them to do some work, to go deeper into this production. It’s up to them whether they want to say this is as bad as watching…a Trump rally. You had also mentioned in another interview that you would love to be booed as Shylock, is that still the case? No, that was a light-hearted remark. What we do occasionally get, when they announce that he is going to lose all his money and then be made a Christian, we sometimes get applause from a very small minority of the audience. We did learn that the ones who were applauding were American; I think they were a group of evangelists. To them, that wasn’t a punishment, that was salvation. But for Shylock, it is devastating; it means the loss of his faith, of his family, of Jessica. So we’ve occasionally had that, but that was in the Globe. 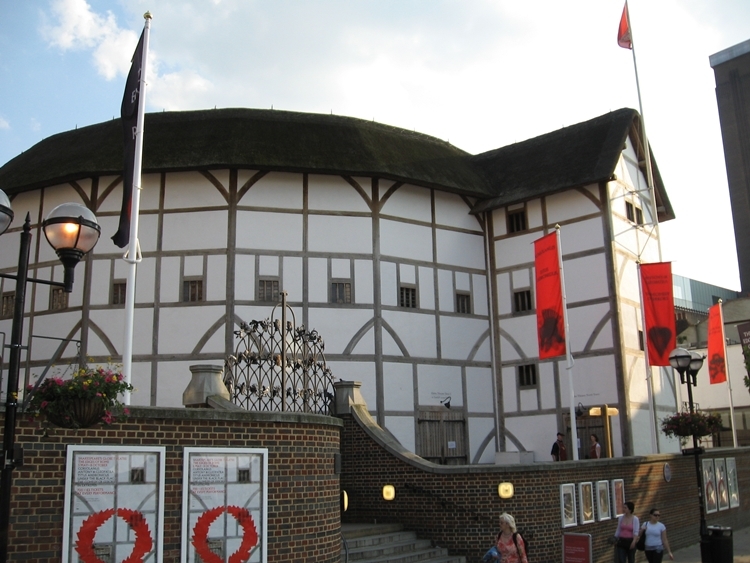 At the Globe, you have 700 people standing for five pounds a ticket, so you get a much greater mix of people, which makes the experience much more vibrant. Your daughter Phoebe is playing Shylock’s daughter Jessica, and you’ve been careful to state she was cast before you were – how did you feel about that? On a professional and father level, it’s great that she was approached separately. The Globe people had seen her at RADA, they got her in to audition, and they did the callback, all the usual things. Obviously, it’s a great bonus to be able to work with her. It’s not about her being my daughter; it’s about Jessica being Shylock’s daughter. And because that relationship can be secondary or overlooked, what Jonathan Mundy wanted to emphasise the strong relationship that they had, which is why it was such a devastating loss when she left. He saw it as vital to Shylock’s situation. Also, that Jessica is treated very badly by the Christian community, just as she was before she joined them. Her genuine regret and lament is for the loss of her father and her faith. That’s all Munby’s concept. You also see Shylock being quite a tyrant at home, which kind of mirrors the idea that the racially abused Shylock becomes the verbal abuser at home, and he places terrible restrictions on her. It’s all about how he became the person he is, and his desire for revenge. Was it difficult as a father for you to work with your daughter, at least at first? No, it wasn’t difficult at all; we’ve always got on really well. It’s been remarked upon by other members of the cast, that we’re not like father and daughter, we’re like two professionals, which is it the way it should be. It’s only occasionally that I look at her and I see my daughter. And when I do that, it’s quite unnerving – I don’t want to see that. But I mean, how many people get the chance to do what we’re doing, to travel the world together. And the added bonus is she’s really good. If she weren’t good, it would be terrible, but she’s really good in the role. You’ve spoken about your challenging relationship with your own father, can you expand on that? Well, my relationship with my father was no more or less difficult than any teenager with his father. The sad thing is that he died before we had the opportunity to repair it. It was never a bad relationship; there was just the usual prickliness. Maybe I was to blame for a lot of it for being too bolshy, too…whatever. My regret was that he died just as I was beginning to work, and we never had the chance to grow in our relationship, really. The same article mentioned he had seen you in a show, and that he told your mother he wished he could have the same relationship with you as you did with the character in the play? Well, he wasn’t a man of a lot of words; he was a great man, and very popular in the town, very respected and well known. He was a shopkeeper and town councillor, and it was an unusual thing for him to have said. I only talk about that because the irony was that after that he had another stroke and never spoke again. That’s the only reason I even talk about it, the irony. Have you deliberately tried to have a closer relationship with your own children? Well, there’s nothing deliberate about it; it was very natural. For many of my generation, the boomer generation, it was the opportunity to have a different kind of relationship with your children than your parents did with you. You know, mine was about benign neglect; I just got on with what I did, but with my lot, maybe I wanted to be too involved with what they did. But we’re all close; we all like each other. How did you feel about being part of the Game of Thrones sensation? And about the last season? Well, I would have liked to do a John Snow and have come back for the seventh season, but that didn't happen, sadly. But who knows with Game of Thrones. It’s quite a rollercoaster that you’re on; you’re not aware of it when you’re making it, but when you’re out in the street, or trying to go about your daily life, and you’ve suddenly become a lot more visible to a lot more people. But people are very nice, and I’ve been treated well – no complaints. No, I think we’ve covered everything. Enough already, as Shylock would say. And thank you.